Founding Director of the EU-Ukraine Business Council James Wilson says that the pro-Russian nuclear lobby and Russian-controlled media spread false information and rumors about the activities of Ukraine's national nuclear energy generating company Energoatom and equipment suppliers for nuclear power plants due to the fact that the company reduces dependence on Russian nuclear fuel and technology, according to his publication in The Brussels Chronicle. "Energoatom is a main target for the Russian nuclear lobby in Ukraine and has been under constant media siege for more than three years now, ever since it began diversifying its supply base by buying nuclear fuel and equipment from Western suppliers," he wrote. According to Wilson, Russia is actively using the black PR methods for spreading fear and doubt in many countries. "It is a sad truth that Russian media today is very good at creating stories, inventing threatening facts, spreading fear, doubt, bias and suspicion… Russian propaganda uses all the tools in the black PR kit box. Hundreds of millions in hard currency is spent on propaganda by the Russian state and colours Russia's presence in every country," he stressed, adding that Russian propaganda is highly organized and a legion of internet trolls backs up the party line by multiplying the message and disseminating it through social media. "At the same time 'experts' are then paid by the pro-Russian media to make statements which are quoted in order to create an atmosphere of fear that the Ukrainian nuclear energy industry will collapse and then the Chernobyl [Chornobyl if transliterated from Ukrainian] disaster will repeat itself unless drastic measures are taken. Such measures, of course, include the need for Ukraine to buy Russian nuclear fuel and equipment for atomic power plants," he noted. According to Wilson, the Ukrainian-Czech-Polish consortium, which plans to complete the construction of the third and fourth power units at Khmelnytsky nuclear power plant, has fallen under the influence of Russian media. "The Kremlin is now looking for ways to hinder completion of the Khmelnytsky project once again using black PR," Wilson wrote. Read alsoSynchronized power grids of EU, Ukraine to contribute to Ukrainian exports – EnergoatomIn his words, the pro-Russian lobby in Ukraine is keen to squeeze the Ukrainian company Impulse, which is developing automatic control systems, out of business by launching a prosecution investigation into supplies of its equipment to South-Ukrainian Nuclear Plant. "According to the investigation, the equipment was of substandard quality (Although the client [Energoatom] is fully satisfied that the quality standards have been met)," Wilson reports, adding that these kind of investigations are followed by the pro-Russian media and accompanied by emotional allegations that Impulse has contracts with Russian agents, and does "business on blood." As UNIAN reported, Energoatom is implementing a program on diversification of nuclear fuel supplies. The company buys fuel in the American-Japanese company Westinghouse, in order to reduce dependence on the supplies from the Russian company TVEL. 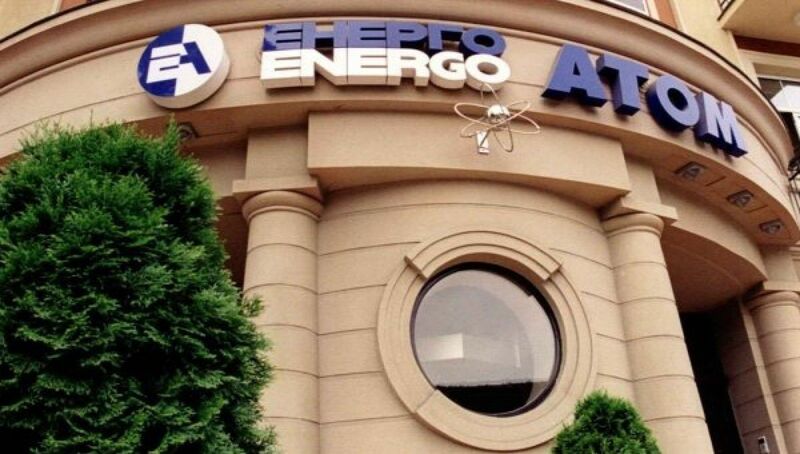 Read alsoEnergoatom boosts revenue from electricity sales by 21% in four monthsIn 2015, the Verkhovna Rada denounced the agreement with the Russian Federation on the completion of the Khmelnytsky nuclear power plant. In late November 2016, Energoatom said that it was considering the possibility of attracting a European supplier of a VVER-1000 type reactor facility to complete the construction of power units No. 3 and No. 4 at Khmelnytsky NPP. UNIAN memo. Energoatom is Ukraine's largest electricity producer, accounting for about 50% of the country's overall power output. Energoatom is responsible for the safe operation of the country's nuclear power plants. Ukraine ranks seventh globally in terms of the installed capacity of its nuclear power generating units. Energoatom operates four nuclear power plants across Ukraine with a total of 15 power generating units, all with VVER-type reactors. Zaporizhia nuclear power plant, operating six power units with a total capacity of 6 GW, is Europe's largest.